Let me get real with you: you can’t screw around with cooking temperatures, particularly when you’re dealing with meat. A little bit of underdone chicken is all it takes to make your family sick. Even when you’re grilling up a couple of medium rare steaks, you need to cook the meat until it reaches the safest temperature for a rare pink. It’s not enough to have a standard thermometer, either, nor is there any need to limit yourself when you can try the Mister Chefer Instant Read Thermometer for less than $26. Retrograde analog thermometers are almost impossible to read, and it’s all too easy for their calibration to go out of whack, which disrupts your ability to find an accurate temperature, anyway. A digital thermometer is more accurate by design. The LED display is bright and clear, so you don’t have to struggle to make out the numbers. Furthermore, it’s a versatile tool. 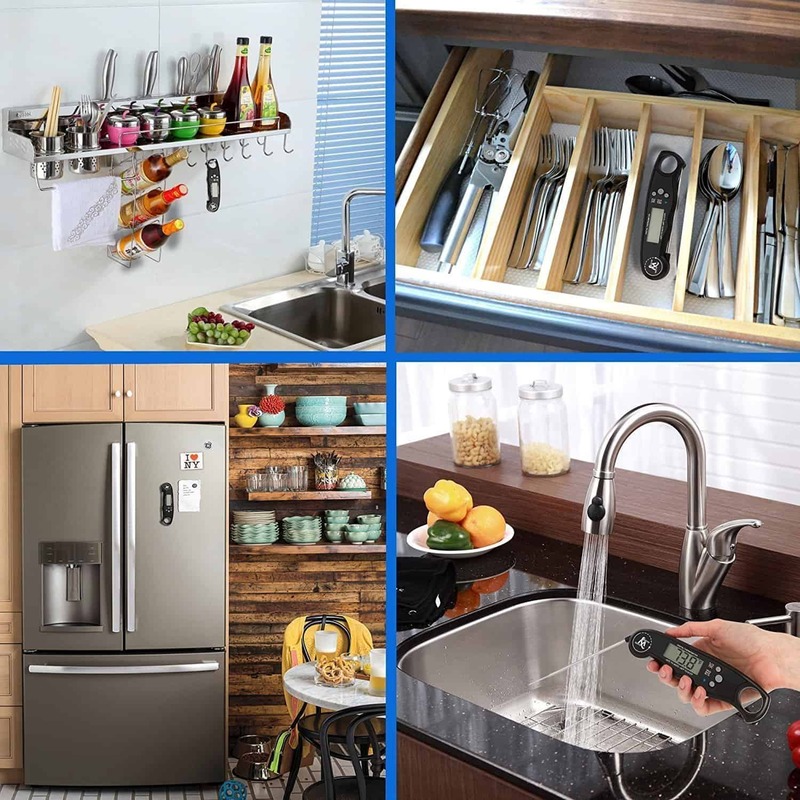 Regardless of the size of your kitchen or grilling area, there’s no need to take up space with a jumble of accessories that serve the same purpose but aren’t interchangeable. 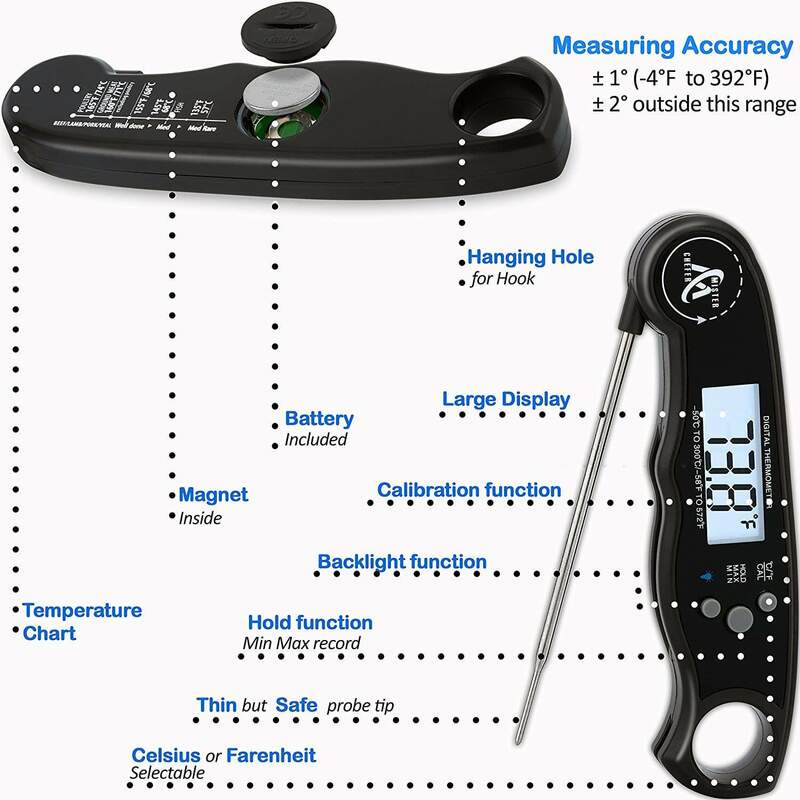 The Mister Chefer hand-held probe thermometer is ideal for gauging the doneness of meat, poultry, and fish, but you can use it in baking, brewing and candy making, as well. 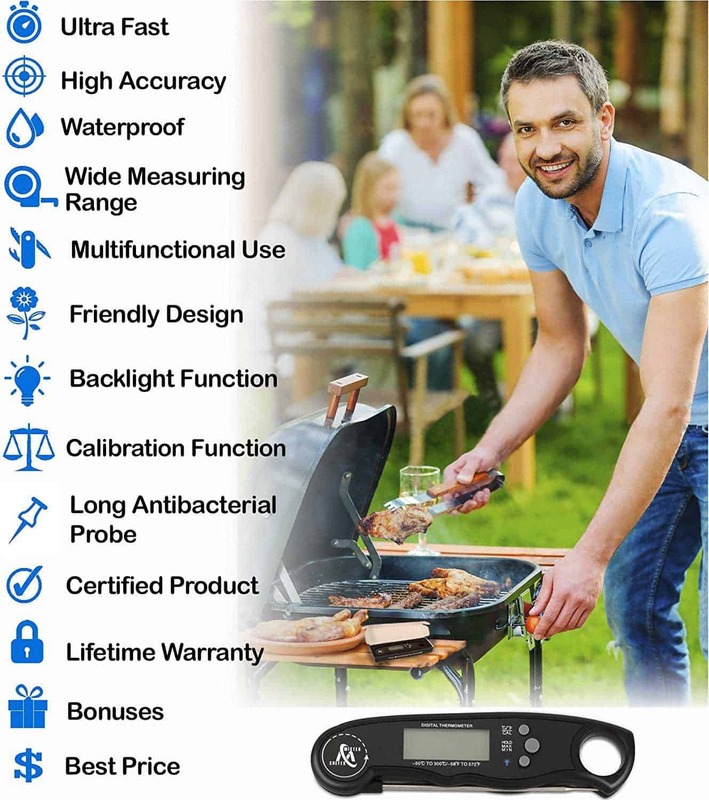 Several of the Mister Chefer thermometer’s most impressive traits are specifically designed to improve the lives of home cooks, grill masters, and bakers. The fact that this model is waterproof is one such trait. Mister Chefer markets two digital thermometers that are virtually identical aside from the waterproof feature. It costs a bit more, but it’s worth the extra $10. Anytime you’re working with a tool that runs on batteries, you want it to stand up against water and other liquids. Accidents often happen in the kitchen, and it would be a waste for a thermometer to stop working just because it gets a little wet. This aspect also allows you to dip the probe into a variety of liquids without worry. You Will Appreciate Its Far-Reaching Functionality, As Well. With an instant read thermometer, you don’t need a separate tool for candy and meat. At least, Mister Chefer’s thermometer does double-duty as a candy thermometer, and given its accuracy, it actually does a better job than specifically branded thermometers. Sweet treats such as toffee, melted chocolate, and homemade hard candy won’t set correctly if they don’t reach precisely the right temperature. That’s helpful because past a certain point, it’s difficult to keep up with all of your cooking accessories. Thermometers have a way of getting lost in utensil containers and junk drawers. Mister Chefer foresaw that problem and equipped the unit with both a lanyard and a magnet. Hang it on a hook by the stove or grill, or stick it to the fridge for convenient access. The design itself includes a hole for hanging, so you’ve got options. You won’t misplace it, which means you won’t get stuck searching for it while your steaks burn or your caramel scorches. This thermometer is foolproof. Everything you need to know is on the display. It even comes with a battery included, allowing you to use it straight out of the box—after removing the tabs, of course. The thermometer comes on as soon as you extend the probe and turns off once it’s closed, or after 10 minutes of inactivity, which helps to save the battery life. The first thing you want to do is to use the calibration function to ensure an accurate reading every time. Some people use boiling or icy water to sort of eyeball the calibration of their thermometers. It can’t hurt to double check. You have the option to choose whether the temperature appears in Celsius or Fahrenheit and you can set the temperature, which I’ll delve into further shortly. Once you’re calibrated, you’re ready to go. Just insert the probe into the food or liquid you want to check. Note: The Mister Chefer should be perfectly calibrated right out of the box, but it never hurts to double check. The Mister Chefer Instant Read Thermometer has a design that’s geared toward ease of use. Nothing about it is complicated. In fact, the interface is so self-explanatory that you don’t really need to worry about the instructions. Its compact nature makes it ideal for smaller grilling areas and kitchens, but it won’t get lost in larger spaces, either. The buttons on the front include a Hold function that lets you record minimum and maximum temperatures, a toggle between Celsius and Fahrenheit, and the Backlight function, which illuminates the LED display and sharpens the view of the readout. There’s also a button to turn the device on or off but, as stated, the thermometer also comes on when you open the probe. Closing the probe turns off the thermometer. The probe itself rotates 180° and extends 10.6 inches. That flexibility provides a far reach. The tip of the probe is antibacterial, a food safety detail that everyone can appreciate. While the read time of only three to four seconds is not the fastest I have ever seen, it is still impressive, especially in a thermometer in this price range. This makes a big difference for the amount of time you have to hold your hand by the heat. Between -58°F and 572°F, the Mister Chefer thermometer promises to be accurate within ±1°. It must be said, however, that some reviewers maintain that above around 392°F or so, the accuracy drops down to ±2°. Not everyone reports the gap, however, and either way you slice it, a margin of error of only 2° is still impressive. If you are a griller, you won’t need to reach 392°F anyways. Given that I have a habit of dropping things in the kitchen and out by the grill, I cannot abide by flimsy utensils that break easily. The replacements get too costly. This thermometer is as strong as they come. The unit’s made of durable ABS plastic. Not only will it remain intact if you drop it, but it won’t deteriorate over time, either. A waterproof design makes the Mister Chefer thermometer washable so you can give it a quick rinse after cooking. This makes for easy cleanup and helps keep the bad bacteria that make us sick from contaminating other food. The clear and easy to read display is large and the digits fill the entire screen. 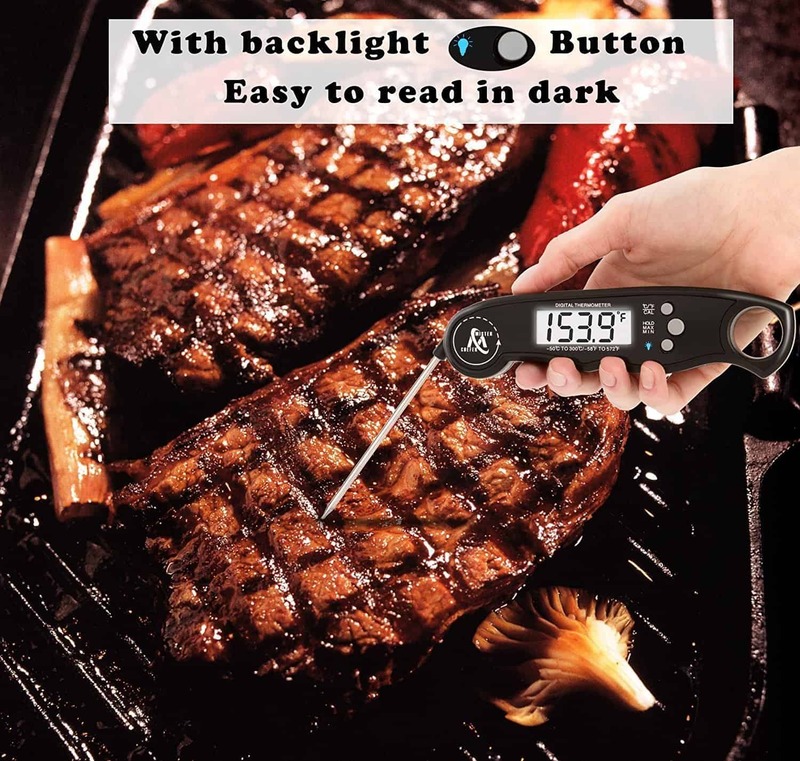 If you are cooking or grilling in low light conditions like the inside of an oven or in the evenings, the Mister Chefer has a bright backlight feature for easy reading of the display. The thermometer has an auto-off feature which kicks in after 10 minutes of non-use. This is a big help in prolonging the battery life. Even though the thermometer will turn on and off when opening and closing the probe, the auto-off is handy when setting the thermometer down between uses or forgetting to turn it off when you are done with it. The Mister Chefer thermometer has a built-in magnet on the back so you can easily attach it to the fridge or your grill shelf. It also has a large closed-ended loop for hanging the thermometer on a hook for easy retrieval for storage. This thermometer is easily recalibrated at home with only the minimum of hassle. Just insert the probe into an ice bath or boiling water and press the “Cal” button. That should get your thermometer back to true if the calibration has gotten out of whack. With the press of a button, the last temperature displayed will hold on the screen for easy viewing. This is great for when your food is in an awkward position for viewing the thermometer. Just press the hold button, remove the thermometer and you can easily see what the temperature readout is displaying. Who Is the Mister Chefer Digital Thermometer For? The Mister Chefer Instant Read Thermometer is for everyone. Obviously, it’s a must-have item for grill masters who work with cuts of meat that depend on temperature. It’s also ideal for home cooks who stick to indoor stoves, where you can use it on items in the oven or on the stovetop. What makes this thermometer stand out is how beneficial it is to bakers, pastry artists, and candy makers, as well. Because the Mister Chefer Instant Read Thermometer is digital, those who aren’t into high-tech cooking utensils may not enjoy it. However, it’s versatility is terribly tempting. Given that the interface is clean and straightforward, even anti-techies can use it effortlessly. 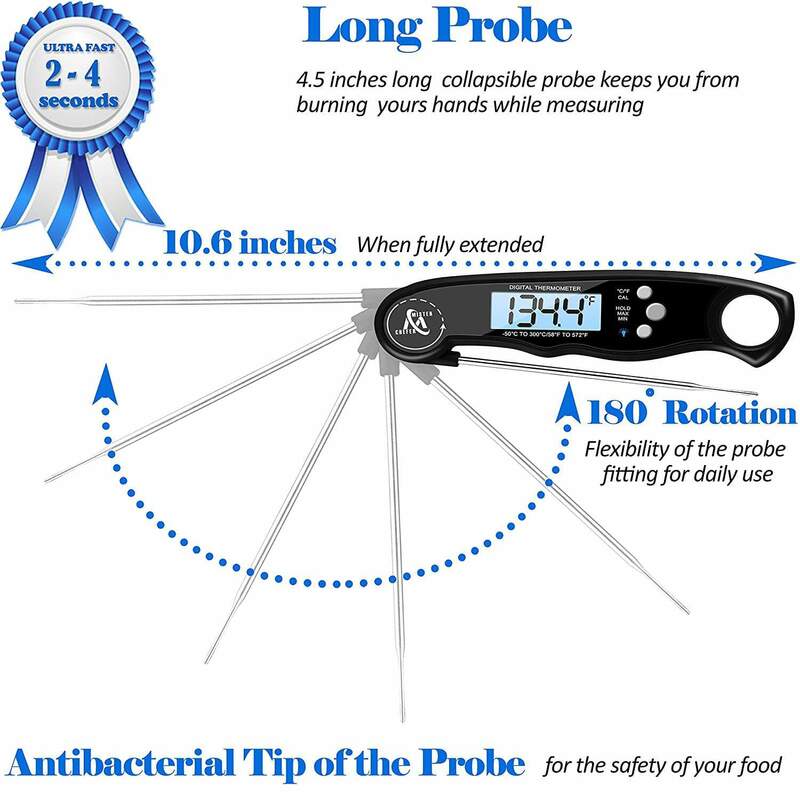 If you are more into slow cooking or smoking your meat, a remote digital probe thermometer that can be left in the meat may be a better investment for you. 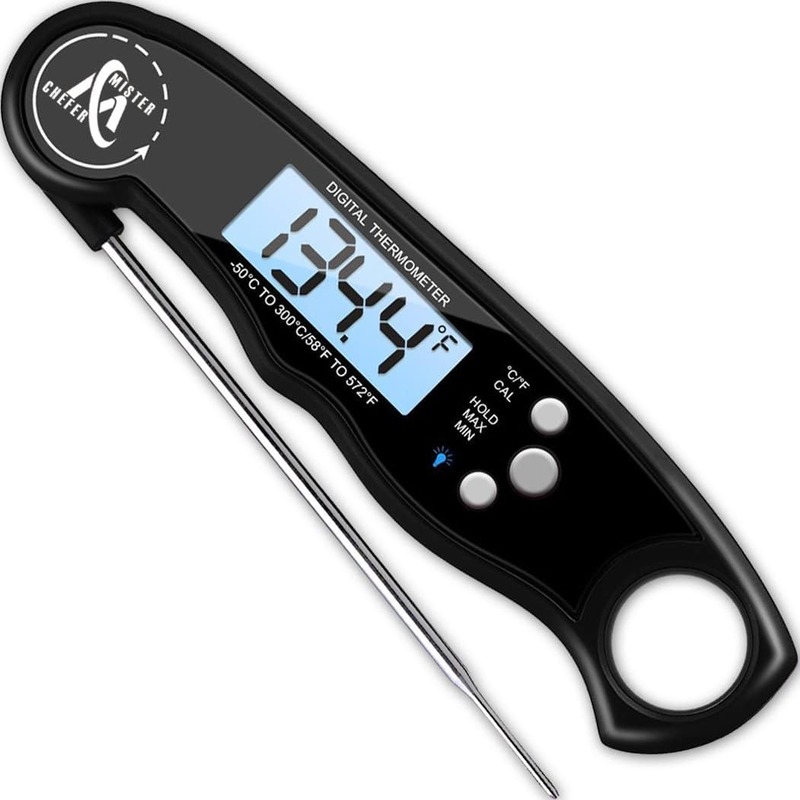 These types of thermometers can monitor your food and grill temps during the entire cooking process. I have an excellent list of the best remote thermometers for you here. It can’t hurt to own both types of thermometers and I actually recommend it. The thermometer costs less than $26 if you buy it from Amazon. The thermometer comes with a lifetime warranty, and you can’t beat that. Mister Chefer also offers their customers a 100 percent money back guarantee if they’re not satisfied with their thermometer. That makes it an almost no risk purchase in my opinion. I can’t personally find anything negative to say about the Mister Chefer Instant Read Thermometer. The price is right, especially given the guarantee. All told, it’s a reliable, durable little gadget that anyone can use. It’s not fancy, and its features are just high-tech enough to make it practical, but not to the point of making it difficult or confusing to use. The low price and the 100% money back guarantee make this durable thermometer an easy decision in my opinion. And with a lot of excellent customer feedback and reviews on Amazon, I am not the only one who thinks this way about it. I hope this Mister Chefer Instant Read Thermometer Review was helpful for you. As always, if you or someone you know is interested in instant read thermometers please consider sharing with your friends or on social media. Sharing is caring my friends! If you would like to leave a comment or have a review of your own to share on the Mister Chefer thermometer, please do so below. We always welcome your input and I would love to hear about your experiences with the smoke. “There are several reasons your thermometer may display either an LLL or HHH error, the most common being that the probe was damaged or broken. If your thermometer was exposed to temperatures above or below its temperature range (-58 to 572°F or -50 to 300°C), you will see one of these errors. LLL means that the probe was exposed to temperatures below its range and HHH means that it was exposed to temperatures above its range. I am not saying that this is the issue with yours, but most likely the probe has been damaged or is malfunctioning. Mister Chefer claims they offer a lifetime warranty on their product so I would suggest contacting the manufacturer and submitting a warranty claim. (http://misterchefer.com/contact/) I hope it works out. This thermometer was never correctly calibrated when it was brand new. I followed the directions by inserting the probe into a glass of ice water to calibrate it and it would not decrease to the 32 degrees F to calibrate. It was a waste of money. Can you send me one that works since this is a 100 % money guarantee or send me the $25.00 plus tax that I had paid for it. I am very sorry to hear that you had a bad experience with the Mister Chefer Instant Read Thermometer. Please know that I am in no way associated with the manufacturer and do not have the ability to provide you with a refund. 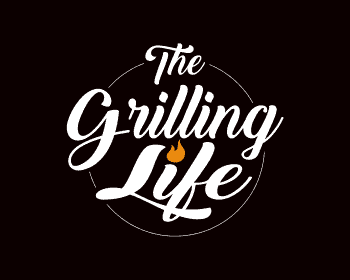 Here at the Grilling Life, we purchase these items just like you do and research and test them to provide reviews of our findings to help interested shoppers. I hope this helps. Again, I am sorry you received a defective product. Let me know if there is anything else I can do to help.